"Why should we hire you?" There's a lot of photographers out there. There's a lot of wedding photographers out there - why me? Because you want someone funny, someone who is there with you from day one through this journey and after it is completed, someone who won't ghost on you with other clients and leave you hanging. On the day of your wedding, you want someone who blends with your friends and family and becomes part of the crowd, not a shining light of endless direction and control of your day. Because you want a photographer that understands your needs and wants and covers your day around those needs, not creating portfolio images, but capturing authentic moments that are a reflection of your wedding day. And, of course, if you want someone who delivers outstanding photography! If these are the qualities you are looking for, congratulations, you may have found your wedding photographer! "Why do only offer 3 time packages?" This comes from my experience. Most of my wedding clients want photography without all the frills - just time and edited files. Some want the major things covered - ceremony, formals, couple pictures and reception. For you, the 6-hour day is perfect! If you're looking for coverage that includes the getting ready part of your day (which happens to be my favorite), then the 8 or 10 hour packages are for you! Either way, you get my full effort, start to finish, and you'll always receive the edited images without further costs or other requirements. "Have you ever shot XYZ location before?" That's a good question with a lot of validity to it. 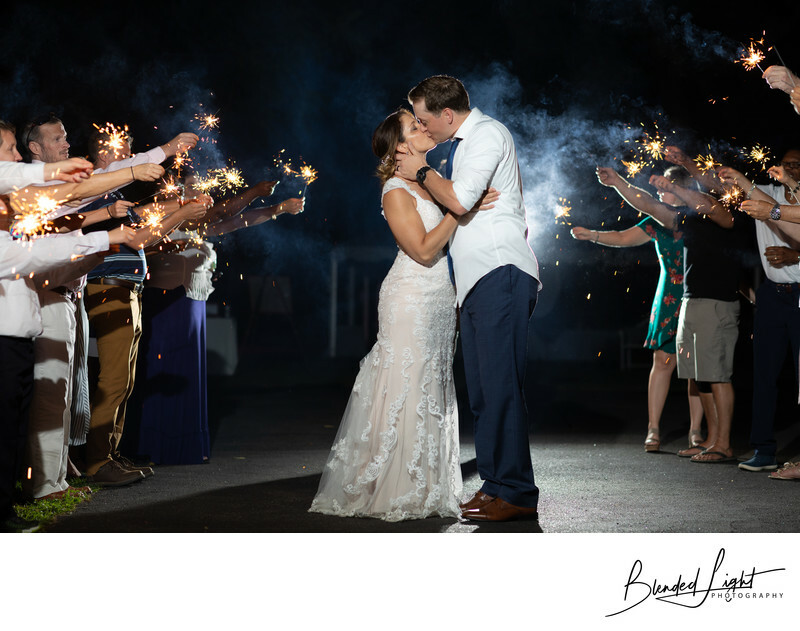 As a professional photographer, I understand that experience with a certain location and staff can go a long way in easing stress in a bride's mind. However, as a professional photographer, I am capable and equipped to walk into any situation, sight unseen, and be able to make beautiful images. It's more about knowing my capabilities to create. Yes, I travel. Internationally? Probably not, unless there’s a really white sandy beach or snow capped mountains. Other than that, yes, I can go where needed. In case anyone is wondering, my all time favorite place in the world - Jackson Hole, WY. There is nothing more beautiful than the snow capped Tetons. Destination weddings are custom quoted once I have a full understanding of the entire wedding, setting and client needs. "Do you release all the pictures? What does your editing include?" The answer is both yes and no. Yes, you get every picture that passes my quality check and that I edit - I give you as many as I possibly can and all my packages include full resolution digital downloads. No, not every picture makes that cut. Some will be out of focus, some with really bad looks, some with bad poses - hey, it happens. I want your gallery to flow with consistency and beauty, so you only receive the highest quality images. For question 2, I edit to correct white balance, exposure, horizon straightening and other minor adjustments. For day of bridal portraits, I also edit hair, remove blemishes and soften skin. Grooms get the same treatment less the skin smoothing (we want them to appear a little many, don't we?). Significant editing, such as removing things/people, a lot of hair work (think wind) or other detailed work is sent out to be done professionally. Costs for significant editing vary and are quoted on a case-by-case basis. "Do you offer less than 6 hours or more than 10 hours?" Yes, I do. While I do offer less than 6 hours, most brides realize the time constraints are too much and end up choosing one of these packages. Availability of shorter ceremonies is limited to weekdays or off-season weddings. These are custom quotes, so you would need to contact me for a quote. Needing a longer day? I go to an hourly rate past 10 hours . This question causes a lot of confusion, so I’m going to try and keep it simple. You will own the right to print them as you choose. You own the right to post them all over social media. However, you do not own the pictures. US Copyright laws state that the creator of any images (me) owns the image and that cannot be given away. "Do you use a second shooter?" In general, no, I don't use a second shooter. There's a couple reasons. First, they are not free and that cost gets passed on to you. Second, you hire me for my style of shooting, which may or may not agree with a second's style of shooting. With quality and consistency of utmost importance to me, I prefer to shoot and edit my way, which is why you hired me. Lastly, there does come a point at which the number of images you receive can overwhelm you. I generally deliver between 600-700 high quality, retouched images from an 8-hour wedding. I shoot from multiple angles and cover both the bride and bridesmaids getting ready as well as the groom and groomsmen getting ready by following the schedule you give me. You get a lot of different images, all the major shots and a lot of candids. Second shooters do provide more images, but often they are similar images to what you get with one shooter, just from a slightly different angle. Think of it this way - if your wedding album has 60 images in it, do you want to choose 60 images from 1200-1500 lightly to no-edit or 60 from 600-800 well edited with very little differences in them? "I'm getting married in a venue that doesn't allow flash photography. Can you handle that?" Yes! It should be noted that I generally do not use flash during a ceremony as I find it to be distracting to your guests, officiant and, probably, you and your other half. I do not fear and do not worry about my gear or me being able to shoot in dimly lit areas. "What do you require from me?" Once we decide to work together, you'll receive a contract and invoice for the retainer from me. The contract is signed online and countersigned by me, so you will get a copy. Your retainer is 30% of the total cost and can be paid via check or credit card. Once both pieces are received, I'm your's for your wedding! As I have mentioned numerous times, it doesn't end there. I'm a phone call or email away at anytime. Also, to make sure I understand the day, 6 weeks prior to your wedding, you'll receive a detailed questionnaire from me. This questionnaire covers your day, the major events and times, the people involved and the locations we'll be at. It also covers your family formals, so it is a very important document. Both! Any wedding photographer should be comfortable and capable with both - if your's isn't, you should think about that. Receptions tend to be dark and without good flash technique, your images will look like salt and pepper thrown on a piece of paper (this is known as grain) or a big blur of colorful movement. 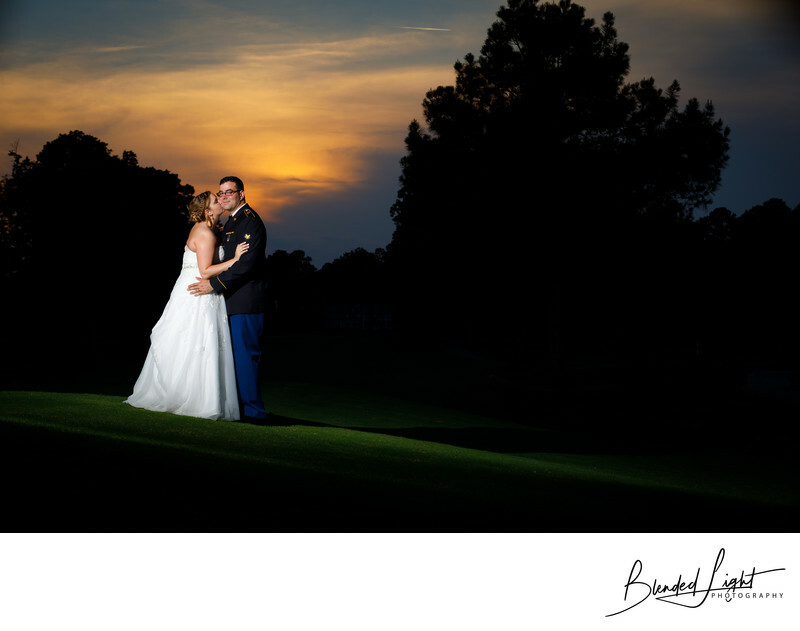 For the formals, flash can be used to compliment the natural light available and, at night, flash sets it off. "Where might my day go wrong? How do you handle that?" Superb question! I suggest you start your research with this article on Planning Your Wedding that I wrote to help my clients begin to think through the planning process and all the events they need to consider. There's a lot of places a day can go wrong. Hair and make up can run behind - happened. Wedding parties are late - happened. Wardrobe malfunctions - happened. Spur of the moment rain storms occur - happened. I've even shot 2 weddings that were over an hour late due to traffic - one an unforeseen long detour after a hurricane and the other a wreck blocking the entrance to the venue. Things happen during a wedding day that can't possibly be planned for, and that's what makes each wedding different and, shall I say, personalized. My advice to all couples is to relax and know that your day is about you and can't happen without you. Things happen and that's OK. But how do we get it back on track? Sometimes it means shifting some of the pictures from before the ceremony to after. Sometimes, I have to really shorten my time and work super efficiently (I'm already pretty efficient). It may be that we have to trim your formal list or the couples sunset session turns into a night time session. Regardless, I always remain calm and work around it while trying to help you remain calm and ensuring that we still cover the images you ask for! "What do you bring to a wedding equipment-wise?" I bring 2 camera bodies to every wedding I shoot for two reasons - (1) I like to have 2 different lenses on me at all times and (2) to have a backup in case one goes berserk on me. Both cameras have dual cards slots and has a memory card in both slots with both cards recording the same images, therefore acting as a duplicate is case one fails. I bring several lenses, both prime and zoom, and a load of flash gear for use on-camera and off-camera. And, while not equipment, per se, I bring over 10 years of experience in almost every wedding situation you can think of (big, little, sunny, rainy, windy, hot, cold, indoors and outdoors and so on). I've shot weddings that were dead on schedule and some that were over an 1 hour late. I've worked with loose, fun bridal parties and some that were, shall I say, a little tighter. There's little to nothing you can throw at me that I can't handle! If you'd like to see the specifics, here is the list of gear I bring to any wedding.
" 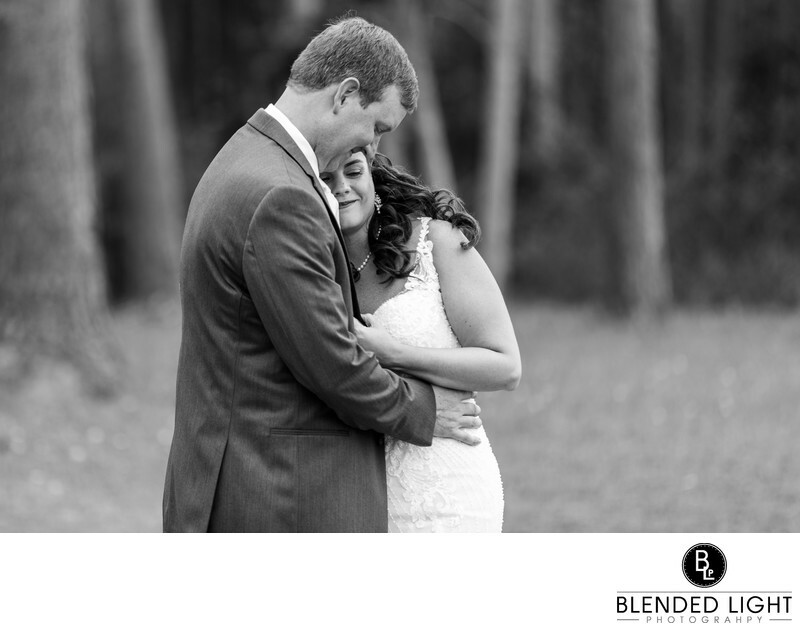 What is the single biggest thing I should look for in my wedding photographer?" There's a couple things I suggest in answer to this question. #1 - Personality. You should feel comfortable working with your photographer, talking with your photographer, being around your photographer. Honestly, that's the person you'll see the most on your wedding day! If your personalities clash, your images are going to show it. #2 - Experience. We all show our greatest and best on our websites, but what do the rest look like? Ask! If they aren't willing to show you a fully edited and delivered image gallery, then you might should reconsider. Look at a couple delivered weddings in similar venues to your's. Are you liking what you see? Does the way the day is captured in it's entirety match your vision? Experience doesn't have to be wedding related always, but you should feel comfortable in their knowledge and ability to handle your wedding professionally and deliver what they say. This is where you'll have to trust your gut. #3 - Equipment. Now this isn't a name brand type question. It is more of a backup and preparedness question. Just as things happen to throw off the wedding day schedule, things happen to break on wedding days too. Does your photographer carry at least 2 cameras? Are his or her lenses overlapping in focal length? How many flashes do they carry? Any professional should have a minimum of 2 camera bodies and a number of lenses and flashes and you should feel they are confident in using them. I also strongly recommend you ask if their cameras have two card slots and how they use them. On 2 weddings this year, I have had card failures where one of my cards quit recording without notice. Fortunately, I carry several backup cards. Also fortunate was that I was recording each shot to each card so my 2nd memory card had all the images on it and I missed nothing. Wedding photography horror stories come from this simple, but often overlooked, backup plan.